Reval Folk on Finno-Ugric Days: Maria Kalaniemi (FIN), Tuulikki Bartosik (EST), Toorama (Mordovia) and Jaan Sarv (EST). Who are we? From where do we come from? What do kinship and tribe mean to us? What connects us? On the 19th of October Reval Folk invites you to a concert in the Finno-Ugric Days to find answers to these questions together. 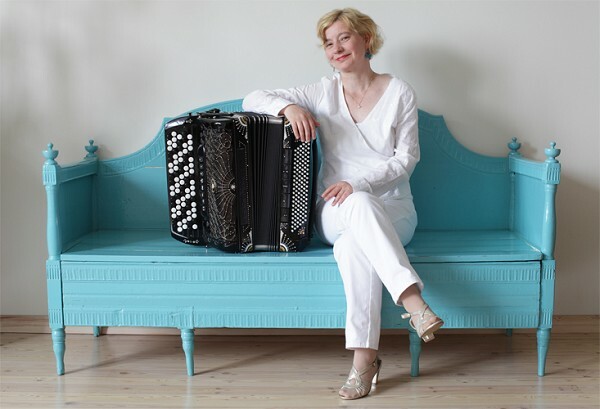 This time we have the honour of welcoming a world renowned Finnish accordion player – Maria Kalaniemi; her long-time student, and now colleague – Estonian accordionist Tuulikki Bartosik will perform with her as well. 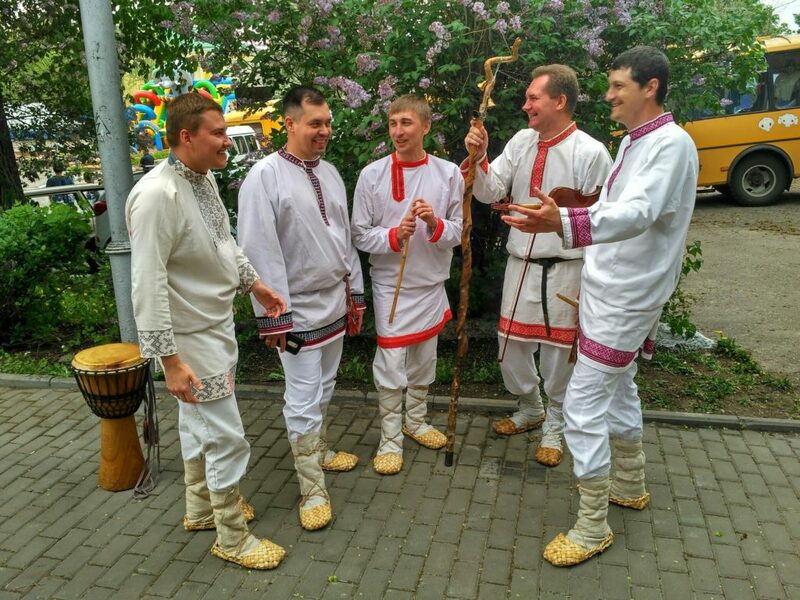 The second main performer is the legendary group Toorama, from the Mordovia Republic in Russia, who showcases traditional male singing. They last visited Estonia 6 years ago. After the concert there will be a singing circle with Jaan Sarv, who is a singer and karmoška (garmon) player from Setomaa, South Estonia, who currently resides in Tallinn. The evening is devoted to the connections of kinship and tribe-ties that Estonians have with Finno-Ugric people. Through folklore and the language of sound, the past and the present will hold a dialogue at this concert, like different patterns of the same traditional belt. The concert will take place at the cosy Old Town Music house in Tallinn (Uus st 16c). The doors and the café will open at 18:00. With this concert Reval Folk also celebrates Estonia’s 100th birthday. The concert is part of the official programme of the Finno-Ugric Days. Presale tickets cost less! It is also possible to buy tickets on location. Pre-schoolers (until 7 years of age) get in for free. This season we only provide reusable cups in our café. Those who bring their own drinkware, (cups, mugs, etc.) will be welcomed to our concerts with the ‘Reval Folk Friend’ ticket price. All of our concerts this autumn are acoustic. is one of Finland’s leading contemporary accordionists and an internationally acclaimed musician. Her roots are in folk and classical music, but her sights and abilities go far beyond existing styles. She’s a doctor of music and a long term and respected instrument pedagogue. Technically brilliant as a player, and adept at improvisation, she is also a very powerful, intuitive and sensitive composer. Her musical style is aptly called accordion fado. Maria has released numerous albums with many ensembles, including the international accordion collective Accordion Tribe. Kalaniemi has toured and performed throughout Europe, the USA, Canada and Japan. Her second album with pianist Timo Alakotila, Åkerö, was released December 2011. The album got the prominent Finnish Emma Award. Her album Vilda Rosor “Wild Roses”, a collection of Finnish-Swedish songs, was released in Finland in October 2010. The album reached second place on the list of World Music Charts Europe (WMCE). In spring 2017, Kalaniemi released the album “Svalan” along with harmonium artist Eero Grundström. This album ranked first place on WMCE. In 2012, Maria Kalaniemi received recognition from the Swedish Cultural Foundation. She celebrated the anniversary of her artistic career in 2013. In the spring of 2018 Kalaniemi was nominated as a member of the Royal Swedish Music Academy. Maria Kalaniemi and Eero Grundström performed at Tallinn Music Week in the spring of 2018. Toorama is an all-male band created by legendary folk musician Vladimir Romaškini, (1951-2002) in 1990. Since 2017, the band also carries his name in honour of his memory. Toorama showcases the tradition of polyphonic Ersa-Mokša male singing. This special method of singing has been preserved until the present day very much thanks to the work of Vladimir Romaškini. The group is currently led by Romaškin´s son, Andrei, in Saransk. There are both Ersa and Mokša people singing in the group and the repertoire represents the singing traditions of both peoples. The members of Toorama also play traditional folk instruments. The polyphonic male singing of Toorama is flowing, lingering and intense. With singing they also introduce the ancient traditions of the peoples, where polyphonic singing had a special ritualistic role. For example, the Mordovia wedding has also been called an opera that consists of folksongs. The word “Toorama” refers to a horn of King Tjuštja of Mordovia mythology. One has to blow the horn when in trouble to invite the king back from the Sheol to protect the land and culture that is in danger. The band has introduced the music of the Mordovia Republic to all corners of the world: in Finland, Latvia, Sweden, Switzerland, France, Great Britain and elsewhere. They have also visited Estonia many times before. Their last performance during the Finno-Ugric days was 10 years ago. Tuulikki Bartosik (1976) is one of the leading and most successful Estonian accordionists in the world. Her music is light, innovative and fresh, mixing the soundscapes of the nature with the breeze of the accordion and visual arts. With her direct and improvisational performance style, Tuulikki has been performing both as a soloist of symphonic orchestras on big stages and in cosy home concerts. She describes herself and her improvisational music with the following words: “The sound of every moment is important to me. My music moves with me and only when I hear myself play, I will understand how I will sound.” Possessing an MA from the Finnish Sibelius Academy she is like nine women at once: a woman, a mother, a musician, a composer, a music professor, and a cultural manager. She is active in Estonia, Finland, Sweden, Great Britain, Germany and Japan. She is a true power woman of the north who creates and visualizes big things while also bringing those visions to life! 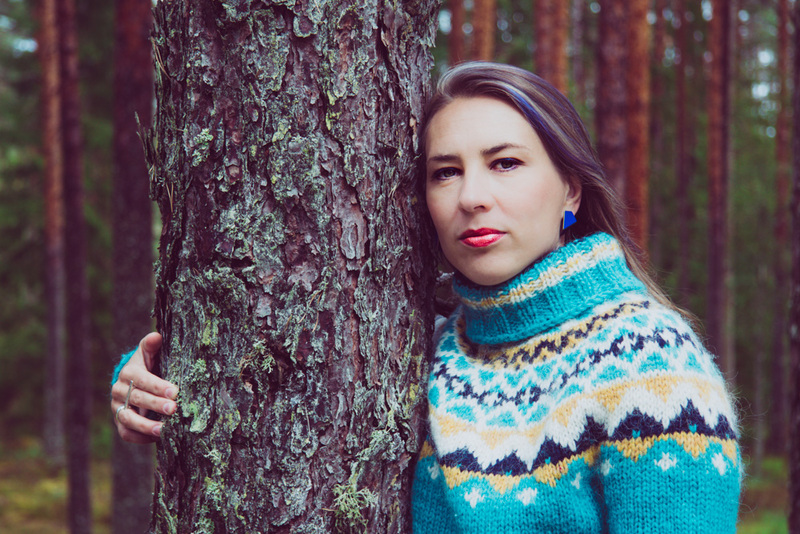 Throughout her career Tuulikki has released a solo album “Storied Sounds’, which received recognition across the world, the album was also released in Japan. Together with accordionist and dancer Hannah James they have created an album “Chatterbox”, which was chosen in 2015 by a prominent British daily newspaper “The Telegraph” as one of the best folk albums of the year in Great Britain. Having her roots in the southernmost county of Estonia – Võrumaa – one can also hear her creation and tunes on the popular children’s album “Upa-upa ubinakõnõ” in the Võro language. She has also initiated the Estonian Folk Orchestra, which has released the album “Imemaa-Wonderland”. Together with Hannah James, Karen Tweed, Mairearad Green and Teija Niku, she started a female accordion project “Accordionesse” that performed in January 2018 in Glasgow, Scotland at the “Celtic Connections” festival. Tuulikki cooperates with many musicians from Estonia and beyond: Mari Kalkun, Pastacas, Hannah James, Kristjan Järvi, Timo Alakotila, Kato Kanako, Jonas Knutsson and others. 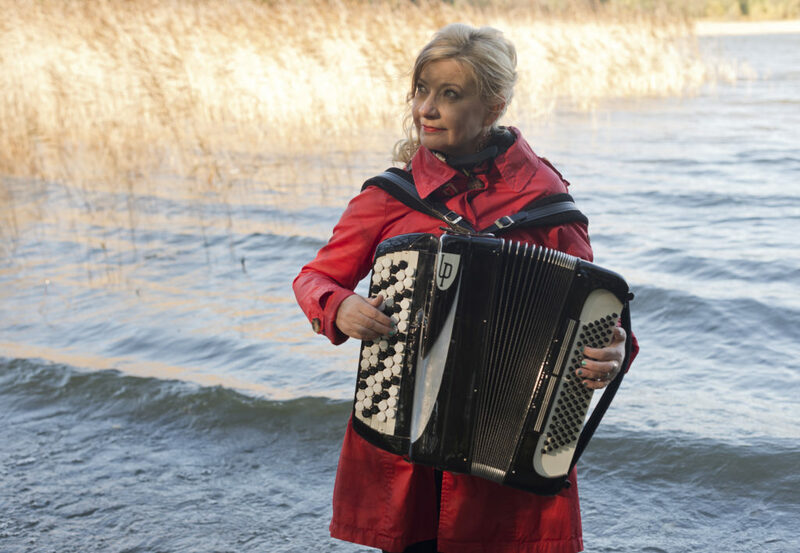 During the Reval Folk concert, Tuulikki will perform with her long-time teacher and current colleague Maria Kalaniemi, honouring the historically long, friendly connections between Estonian and Finnish people and the contribution of Finns in the education of Estonian folk musicians. As an end to the concert evening, Jaan Sarv will lead older and newer folksongs that everyone can sing along to. Jaan recalls songs from his childhood, which he learned from his parents, but his repertoire is also greatly influenced by singing with Harju Mehed and Lauri Õunapuu. As he has been interested in playing music for dancing, his focus has also been greatly directed towards songs and tunes for dance. However, for the Finno-Ugric Days we can also hear some Seto songs and songs learned from Siberian Estonians. The best tunes are the ones, that have not been planned a long time in advance, but that come to mind on the spot, here and now, carried by the mood from the concert before. This will be even better if more people present help to take the lead in the singing! Jaan Sarv is a singer and karmoška player from Setomaa who resides in Tallinn. For the past 10 years, he has been active in folk dance clubs as an active instrumentalist and a dancer. 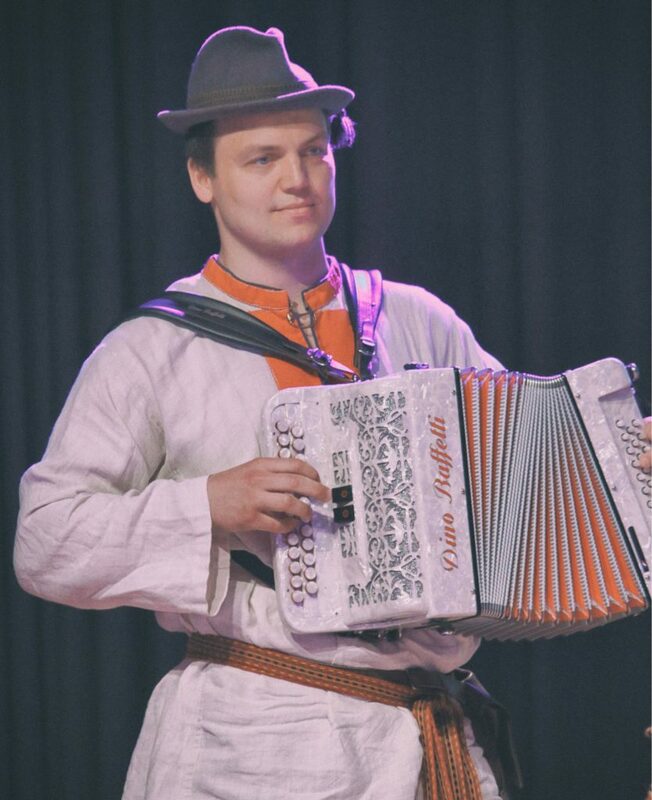 He has mostly performed at the Tallinn Folk Dance Club, but he has also visited many other folk dance circles and dance evenings at village parties all over Estonia. He has also acquired and shared experiences in Latvia, Lithuania, Poland, France, Belgium, Hungary, Udmurtia and even Siberia. As an instrumentalist, he mostly loves to play for dancing. In addition, Jaan is also the organiser of “Sabatants” a festival of traditional dances. Finno-Ugric Day is celebrated on the 20th of October every year, generally the th ird Saturday of October. Traditionally, NGO, Fenno-Ugria organises a cultural festival that introduces Finno-Ugric people to the world. The events of the festival happen throughout the whole month in many places around all Estonia. Within the festival, a conference will also take place, on the 25th of October, at the Estonian National Museum that is dedicated to the folklore and independence movement of Finno-Ugric peoples one hundred years ago. Renowned scientists from Estonia, Finland, Hungary, Karjala and Russia (the lands of Udmurt, Mari, Komi and Mordovia) will be present. This conference will also kick start a Finno-Ugric world conference that will be held in Setomaa, South Estonia shortly after. 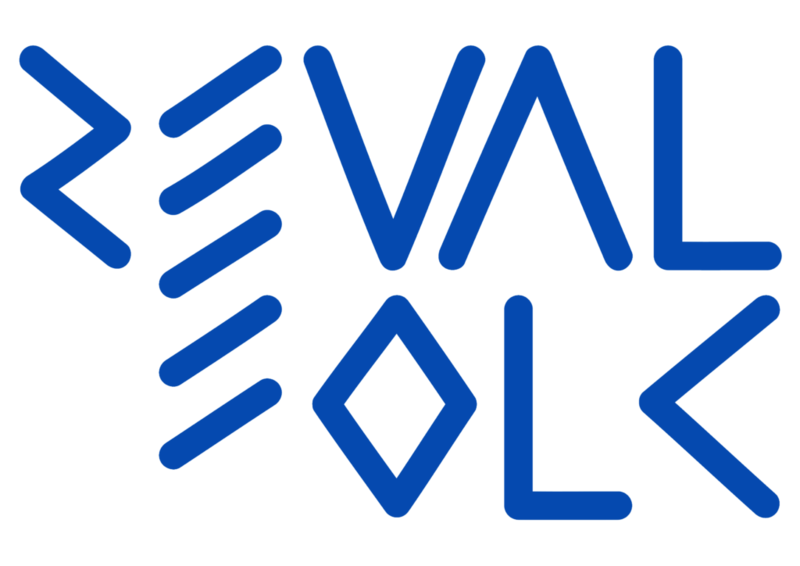 Reval Folk has the great joy to cooperate with this year’s Finno-Ugric Days. In a different way, we both support the same values – and it is exactly for this reason that we are organising a special concert to take place in the same time frame.